The main body of the church, the nave, is an impressive space, the central primary space formerly for the church and now for gallery projects and art installations. My focus was … the back stage spaces that the Cafe Gallery used in order to support and set up installations. 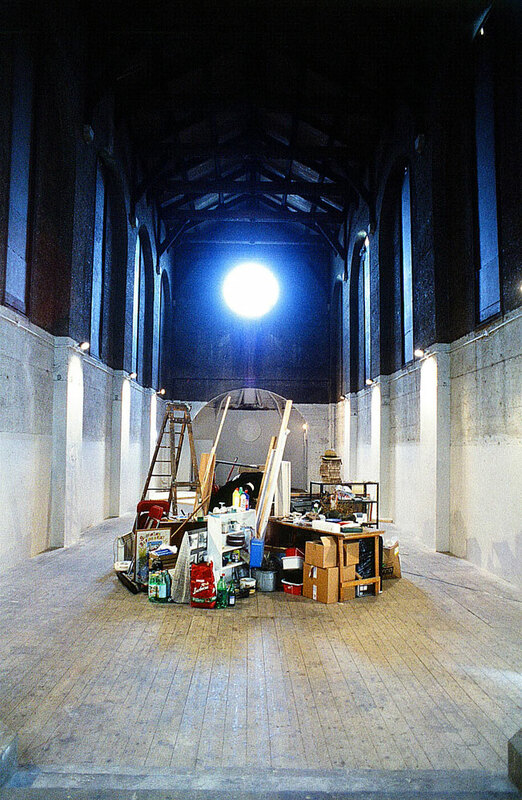 I emptied the kitchen, toilets, workshop, storerooms and organ loft and exhibited the movable contents of these rooms in the main space in a circular pie-chart formation, echoing the churches circular rose windows, each room-sized segment in proportion to the volume of items. © All artworks copyright Fran Cottell. Website by Royal Jelly Factory.